I'm Rusty, the fun-loving doggygifts.com mascot. I love playing for hours on end with our Rascals Fetch Toys whether be running, tugging or shaking. The tug toy and hexagon even float so fetch doesn't have to end in the park or backyard! Whatever you decide, here are some amazing Rascals Fetch dog toys by Coastal Pet Products. 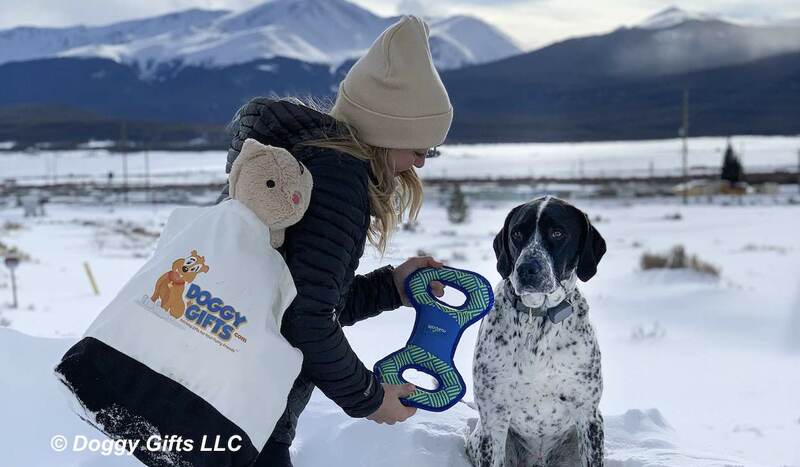 Whatever you desire, our team at doggygifts.com is happy to assist you in making the right selection for your favorite doggo. Let's Talk - Just tell them, Rusty sent ya! We love playing with the Rascals Fetch Dog Toys. Rascals Fetch Toys are designed for hours of fun. With contrasting colors and engaging shapes, the Rascals by Coastal Pet Products Fetch toys encourage running, tugging and shaking. Featuring heavy-duty polyester and nylon construction these toys are designed for even the toughest play. The tug toy and hexagon even float so fetch doesn't have to end in the backyard! Other toys include Alligator Fetch Dog Toy, Boomerang Fetch Dog Toy, Duck Fetch Dog Toy, Fox with Rope Fetch Toy, Raccoon with Rope Fetch Toy, Fetch Toy with Rope Dog Toy and Fetch Tri-Tug Dog Toy. Rascals by Coastal Pet Products dog toys offer something fun for every dog! Rascals Fetch Dog Toys are great fun for running, tugging or shaking. Perfect for the dog park, backyard, and beach, these toys feature bright colors and lots of tug and fetch time fun. Do you enjoy lots of soft, squeaky, colorful and whimsical fun? Rascals Latex and Vinyl Dog Toys come in a huge variety of cuteness alert toys. Rascals Mesh Dog Toys are the perfect blend of indoors, outdoors and water play dog toys. These come in adorable animated animal characters and are a great combination of soft and cuddly, strong and tough, and waterproof too, Rascals Plush Fleece Dog Toys are super soft and cuddly and make a great "bring me along" toy for your furry pal. Rascals Pro Fit Foam Toys are great for fetching, catching, tugging, pulling and chewing in and around the water and these fun toys float for tons of waterplay fun.